Hiện tại có 241 khách và 0 thành viên đang online. 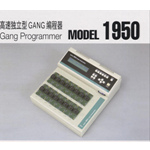 The 64 socket write-in full automatic programming system which carries two high-speed gang programmers MODEL408PH. 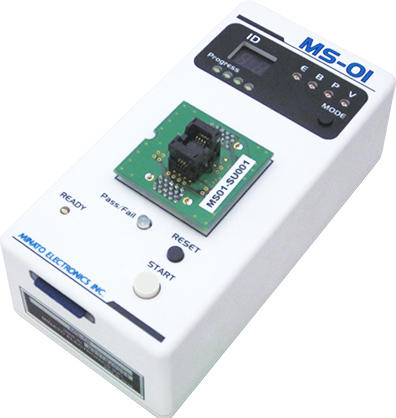 PH-M880 is 8 socket x 8 site and a total of 64 socket write-in full automatic programming system which carry eight gang programmer MODEL408PH (eight-piece writing). 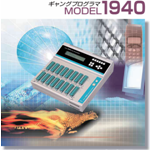 By the unification design of MODEL408PH and PH-M880, an operation panel to all the operations are possible. 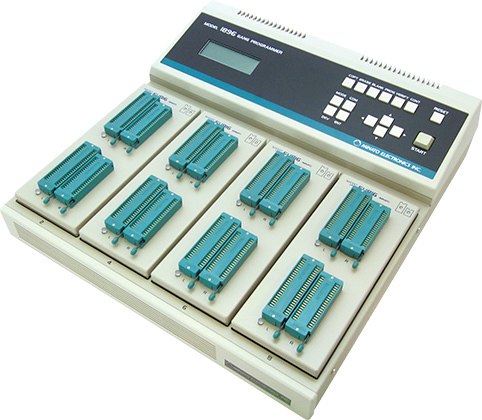 High speed Gang programmer 48sets of "MODEL408PH"(8sockets ×8sites total 64pcs) auto programming system. 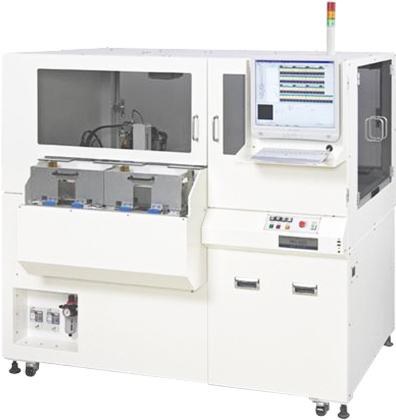 PH-M880 with MODEL408PH is operated by panel operation easily. Adjusting JIG is not needed to change socket adapter. 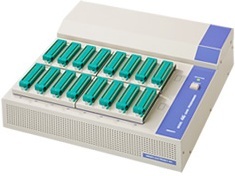 8sets of programmers with auto handler make it possible to high throughput for programming. Multiple programmers create high production capacity not depending on programming time. X,Y,Z,θ axes use highly accurate steeper motors and timing belt drives.